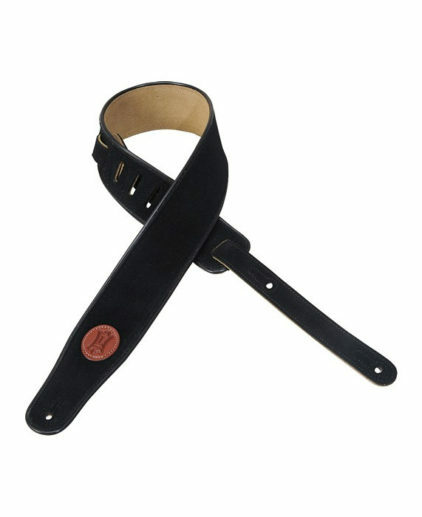 2 1/2″ carving leather guitar strap with decorative cable stitching. Pictured in cranberry (CRA) and russet (RUS) . Also available in carving colors below. 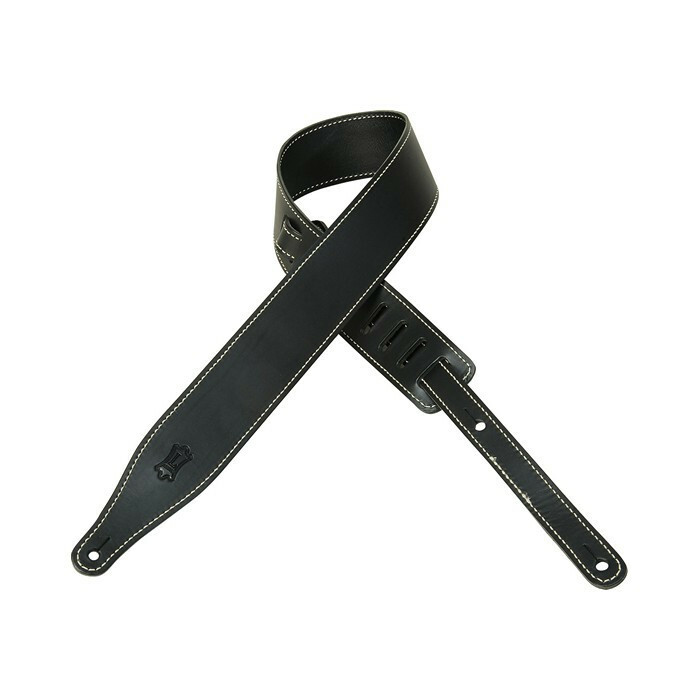 Adjustable from 41″ to 54″. 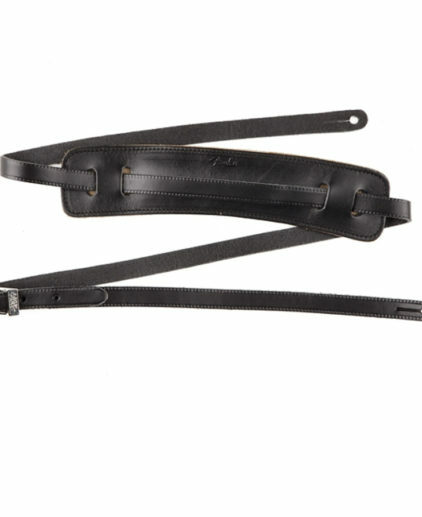 Also available in extra long (XL), which adds 12″ to overall length. 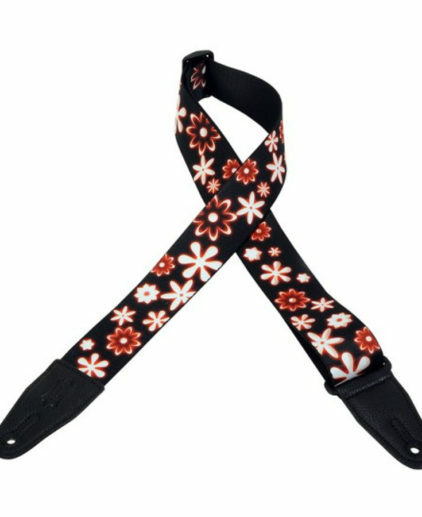 2" polyester guitar strap sublimation-printed with original artist's design, with polyester ends and tri-glide adjustment. Adjustable to 60". 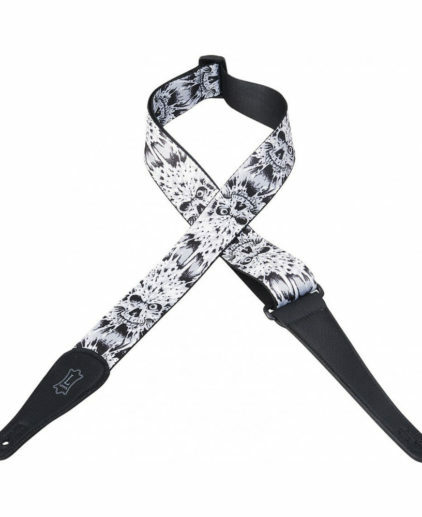 2" polyester guitar strap with printed design, polyester ends and tri-glide adjustment. Adjustable to 60".